When most people think of California summers, they instantly think of the sunshine that this state is famous for all year round. However, as summer intensifies, the heat gets kicked up a notch and many homeowners struggle to stay comfortable while also preserving the cash in their wallet. These tips will help residents save money on their energy bills this summer, without compromising their comfort levels in their own homes. Create new meal plans that don’t involve using your oven. When you turn your oven on, especially to high temperatures, it will heat up your kitchen and may even force your air conditioner to continue running. It can make it hot and stuffy within your home. Instead of using your oven, plan for lots of grill nights, sandwich meals and even meals that can be made in the microwave. Replace your air filters. Your air filters should be replaced every 30 days throughout the summer months. These filters trap dust and dander that travel through your heating and cooling system, and they can easily become clogged. When they are clogged, your air conditioning system has to work harder in order to keep your house cool. Tilt your blinds closed during the daylight hours. This prevents the sun from baking the inside of your home and driving up the temperature. It can help reduce the amount of time your air conditioner is running throughout the day, which ultimately cuts costs. Turn on your ceiling fans. Your ceiling fans will circulate the air in your home and help keep the temperature down. 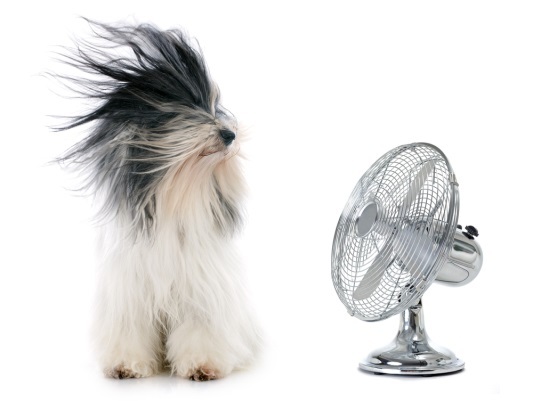 This minimizes the need for your air conditioning system to be running constantly and will decrease the costs associated with cooling your home throughout the dog days of summer. These easy-to-implement tips are not only going to help you save money throughout the hottest months of summer, but they also will help you stay cool and comfortable within your living space. Instead of worrying about how high your next utility bill is going to be, you can simply kick back, relax and enjoy all of the fun that summer brings. After a fun day of surfing the waves and playing in the sand, you can come home to a house that is cool, refreshing and also affordable. 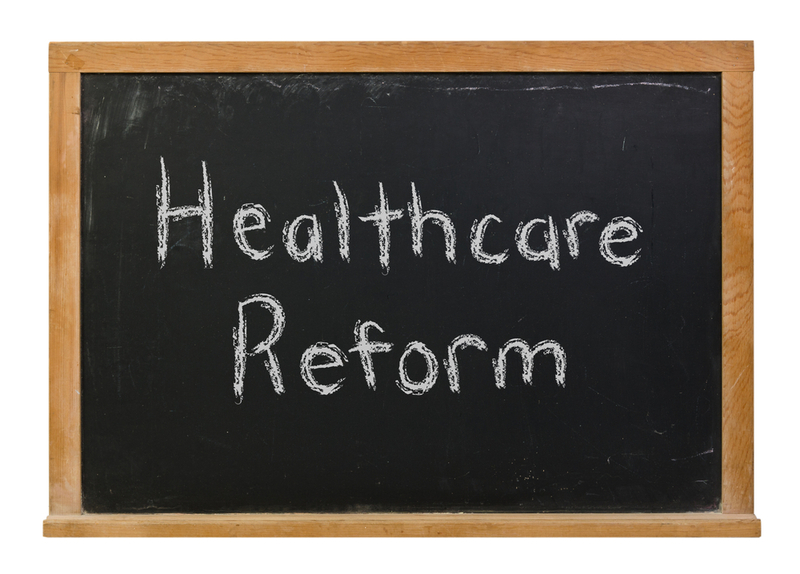 With the implementation of Obamacare, and the subsequent healthcare reform around the United States, there are a lot of changes to health insurance everywhere. Many of these can be quite confusing, especially if you live in the state of California. That’s because California health insurance has a different insurance marketplace than anywhere else in the country. That’s why the health insurance experts at Big Valley Insurance, based out of Tracy, CA and Lodi, CA, have put together the comprehensive answer to all of your health insurance exchange questions as they apply to making sure you have the right policy for yourself and your family within the state of California. These explanations are below, so you are equipped with all of the correct information before you sign up. – Annual limits on essential benefits have also ended, capped at $750,000 in 2012, $1.25 million in 2013 and no limit cap in 2014. – Preventive care like mammograms, vaccinations, well-child care, contraception and other health screenings will now be free, though there are some exceptions to this in regards to health insurance plans which have been grandfathered over before the passage of the Affordable Care Act. 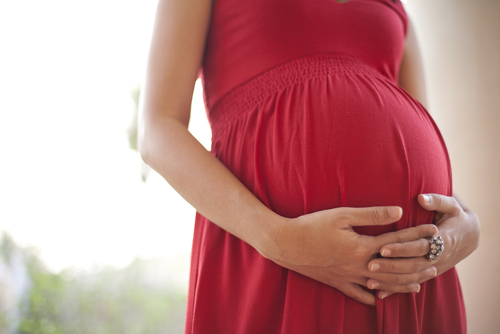 – There is no need for a referral for pregnancy or gynecological care as long as a provider is in your particular network. – Children are also allowed to stay on their parent’s policy until the age of 26, as long as their insurance policy offers dependent coverage. – Health insurance companies are no longer allowed to deny coverage based upon a person’s health status, like pre-existing medical conditions. They are also not allowed to delay coverage due to these pre-existing conditions. – No Annual limits may be set on the basic and important—in other words essential—health benefits. – Medi-Cal coverage now expands to more Californians, including those who are under 133 percent of the federal poverty level. – Health care premiums can now only be based upon where you live in California, the age of the applicant with certain limitations, and the number of people on a particular policy. – Millions of residents in California will now be eligible for premium subsidies from the federal government which will help pay for their new health insurance coverage. Tax credits will also be available for small businesses as well. Enrollment for Obamacare ceased in April. Anyone wanting coverage must now wait until open enrollment later in 2014. Applications can be submitted in October with effective date being January 1, 2015. There are exceptions that will trigger an “opn enrollment” prior to January 1. For example, if you lose your health insurance through your employer, that would trigger an immediate open enrollment. Thre are other exceptions to the rule, contact our office for more detail. We do have access to a couple of companies offering “Short Term” health polices for up to 6 months. While these policies will provide valuable coverage for clients who are currently uninsured, they do not qualify as “Credible” coverage under Obamacare and you can still be “penalized” for not having credible coverage for 2014. Call our office if you need information on these short term plans. Here at Big Valley Insurance, you can get everything from car insurance to renters insurance to boat insurance from the same company. And better yet, you can receive discounted coverage plans. Let’s take a quick look at the different discounts you can receive. Spring has sprung, and while those of us who live in Tracy, California experienced a fairly mild winter, it doesn’t mean that we don’t have spring fever. While most thoughts turn to spring cleaning and tidying up the landscaping, take some time to freshen up your financial life as well. A quick review of your insurance policies may reveal some needed changes. If you haven’t created a home inventory list of your valuables, there’s no time like the present. Start by taking photos of all electronics, collectibles and other valuables. Then, create a file on your computer listing each item’s cost and serial number. Scan the item’s receipt into the file as well, if you still have it. If you created an inventory list in the past, spring is the perfect time to update it. Look around and itemize all those electronics you got for Christmas to ensure they are properly documented. For expensive items, you may need to update your home owner’s policy to include additional converge. Once you’re done, save the file to a CD or a flash drive and store it somewhere safe. Have you recently got married, divorced or had a baby? If so, update your life insurance policy to include them as beneficiaries. In the case of divorce, remove your ex-spouse from the policy and assign a new beneficiary. You s new standard of living. Health insurance options are changing more rapidly than any other insurance product. Even if you already have coverage, getting a quote may reveal ways to save substantial amounts of money. In many cases, you may even receive better coverage than your current policy. Remodels, room additions, even installing a new fence or shed, can all increase the value of your home. If any of these apply to you, take the time to add them to your home insurance policy. Adding improvements like these to a policy typically results in a minimal premium increase. However, they provide maximum peace of mind that if disaster hits, you will be prepared. March is the official calendar month for the beginning of spring. Some parts of the United States never experience the freeze of winter, but there is one milestones of the new season that everyone can benefit from in their everyday life. It’s time to dust off the cobwebs, wipe down the patio furniture and clean off the lawnmower in preparation for the long, warm, sunny days ahead. It’s ‘Spring’ Cleaning time! 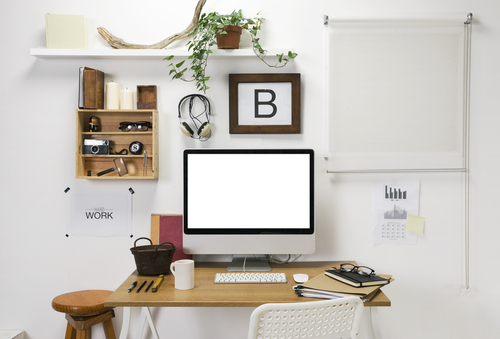 If most of your cleaning can be done throughout the year, then a version of spring cleaning could be to tackle the pile of bills or try out some new organizational ideas. Some of the suggestions below can also be done periodically, throughout the year. 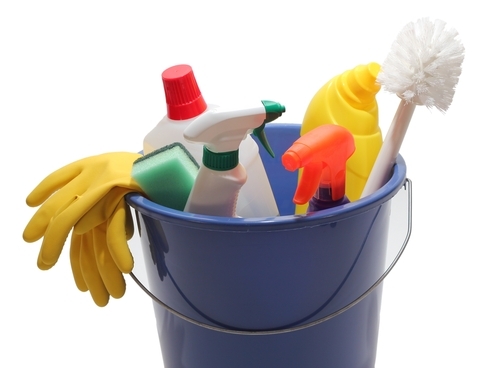 No matter how intense you intend to be on this cleaning spree, it’s always helpful to have guidelines to follow, so there’s nothing that’s missed. Wipe Walls and Ceilings: Remove dust with a vacuum. Get the surface dirt first. This happens especially in kitchens so it is best to use a degreaser. Vacuum and Shampoo Rugs: Deep clean carpets and rugs that have water-proof backs with a shampoo machine. Rugs without backs need professional cleaning. Wash Window Screens: Use warm water and dishwashing liquid, scrub the screens gently and rinse. Dust Thoroughly: Remember the tops of the ceiling fans and window moldings. Work from the top of a room to the bottom, so you can vacuum the dust on the floor. Defrost the Freezer: Turn off the power at the circuit breaker or fuse box. Empty the contents and wipe down the interior with a solution of 2 tablespoons baking soda per 1 quart of hot water. Rotate Bed: Turn your mattress over for a more even wear. Update First-Aid Kit: Make sure your household first-aid kit has a full supply of bandages and ointments and a list of emergency numbers, like for the nearest poison-control. Clean Computers: Dust keyboard crevices with cotton swabs and wipe screens with a soft cloth. 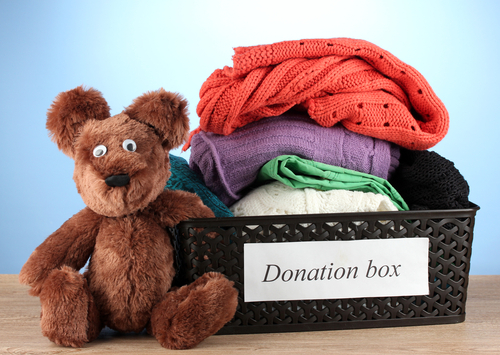 Donate Old Apparel: Donate to a charity that accepts old clothing and in many cases they’ll come pick it up. You can even get a receipt for tax filing. Wash Outdoor Furniture: Most materials on outdoor furniture can handle a solution of dishwashing liquid and water. Use a brush with soft bristles. It usually feels good to freshen up and clear the clutter from your living space, and deep cleaning can also feel like a clean slate for the remainder of the year. Please remember to keep safety in the front of all tasks, as ladders are climbed to clean gutters, and wet floors are created while mopping the kitchen. But this is also a good month to start thinking about uncluttering your schedule, clearing your calendar for some outdoor activities or setting aside money for vacation plans. Because sometimes the best spring cleaning can come about when you find that missing football, fix the broken bicycle, or tune up the dirt bike. Go forth and enjoy! This month is a sports fan’s dream. The Super Bowl takes place on February 2nd and the winter Olympics in Sochi start on February 7th and continues for several weeks throughout the month. While some viewers might tune into the football game solely for the commercials, the Olympics covers enough variety to interest anyone. The dedication and hard work! The Olympics are meant to inspire people around the world, and they do. Sometimes they inspire people to check out a new sport. Sometimes they inspire people to join a team. And sometimes they inspire people to hold their own household Olympics. When this happens, a driveway can become an ice luge or a skating rink. A backyard hill becomes a ski slope. 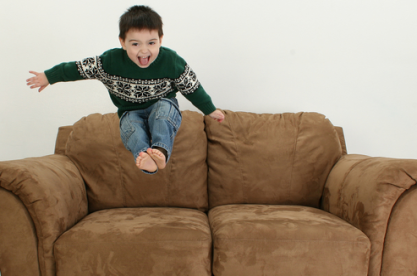 A couch can become a vault. These homemade ‘Olympics’ obviously don’t come with the type of experience that we’re watching on television. So, accidents happen. You can never be too careful, especially with how expensive medical care can be. Make sure you, your family and, if applicable, your employees have the proper healthcare coverage. Health coverage could prevent financial issues as well as providing the comfort of receiving relatively stress-free medical care for that professional snow boarder in training. 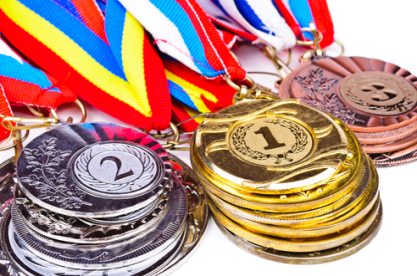 Another beautiful thing about the Olympics, besides the location, are the gold, silver and bronze medals awarded to the most accomplished athletes competing in the games. A photo always surfaces of the prize winner biting their medal, to show that it is real. While most of us won’t ever have to worry about how to insure Olympic medals, we do have our own precious belongings to protect. Do you happen to have any jewelry or other accessories that you only wear for the most special occasions? Or pieces that you wear every day, like wedding rings? There are options like Personal Property Insurance that picks up on coverage where Homeowners Insurance might end. If your property is damaged or stolen, Personal Property may actually pay actual cash value or replacement costs for your valuable property. If this kind of coverage is something that you are interested in, it’s important to speak to an agent to create a policy that protects the ‘gold medals’ in your life. While you haven’t put in the years of training for that one moment of Olympics glory, you have put in many years of hard work to obtain your property. Make sure you are protecting the most important things in your life, whether they are your home, health and what you consider your gold, silver and bronze. 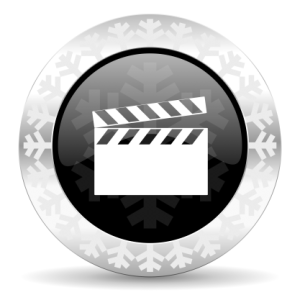 As the winter months drag on, the snow keeps falling (and so does the temperature), one of the most reliable cold weather activities remains curling up on the couch and watching a movie. Whether you are watching the movie for the first time or re-watching an old favorite for the 100th time, a hopeful thought may appear … I hope that these people have insurance. Some kind of insurance…ANY kind of insurance. Because everything that possibly could go wrong, does. In most movies, though, there’s a happy ending but real life isn’t usually that easy. You need insurance to make sure you have a happy ending, too. Since the holiday season just passed, the new Christmas classic, Home Alone, aired constantly on cable television. Within the first couple of scenes, you’re already hoping that the McCallister family are a smart bunch and are well-equipped with home insurance. The family home is being scouted by a pair of burglars who are aware that the McCallisters are leaving their home vacant for a period of time over the holidays. Not to mention, all the damage little Kevin manages while trying to protect his house. Who would have thought, but this movie provides a gentle reminder to insure your home for the expected and for the unexpected. Standard home insurance may cover a variety of incidents but it is important to talk to your insurance specialist about more specific coverage options. Now that all of the college-aged family members have gone back to school, are you feeling nostalgic for that more care-free phase of life? One movie that will give you a giant dose of college is the infamous, Animal House. For sure, it’s crazy and out of control but there’s some relevant scenes. But while watching the parties thrown by Delta Tau Chi, you know not a one of those fraternity brothers has renter’s insurance. The invitation to party can be open to everyone on campus (strangers!) which also opens up the possibility of damage to an apartment or the tenant’s personal belongings. Of course, accidents can even happen with a small group of friends, so it is important to have renter’s insurance for the big and small… “gatherings.” Having a Renters Insurance policy can pay for the cost of replacing your belongings if they are damaged or stolen. Perhaps you’ve been daydreaming of warmer weather, of a time when you can go for a car ride, turn off the heat and roll down the windows. So, while you’re searching for a movie, the fast cars of Gone in 60 Seconds (the original OR the remake) might catch your attention. The fast pace and beautiful cars might distract from the bigger issue for a while, but eventually, the plot will make you hopeful in the best interest of the people who own all those beautiful cars, (which are being stolen in such a timely manner): auto insurance: comprehensive coverage. (That looks like it could actually be the title of next summer’s blockbuster)! In fact, if you view any action movie, the number of fender benders portrayed on screen should prompt any viewer to check and make sure their auto insurance has been renewed and updated. Accidents and other incidents are always possible when you have a vehicle. You need to have an auto insurance policy and again, it is important to speak to an asset protection specialist so they can prepare a plan that works best for you. Movies are fun and entertaining, but they rarely make us think of what we would do in the specific and exaggerated situations that we’re watching. We don’t want to be in these predicaments but if we are, we know that we want to be covered. It’s January. It’s a time for renewal and it’s time to start the year off right. Get insured, stay insured and be the best insured you can be.